The audio files are up on the members’ area of the website for streaming and downloading. Don’t forget the ‘mix’ gives an impression of the overall sound and the individual ‘enhanced’ tracks make it easy to focus in on your individual part. 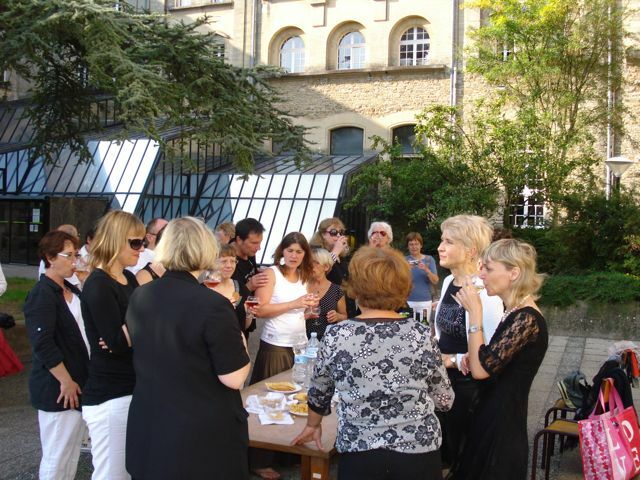 Click here to take you to the members’ area. Also worth pointing out that we may re-distribute the voice parts of ‘Mass’. There’s an opportunity to get involved in signing a petition to help to save the UEA music department from closing here. The campaign is gathering momentum. Of course, there are loads of unanswered questions. For example, how was the School of Music allowed to get to this point? Don’t appropriate checks and balances exist in the University to foresee this kind of problem? Perhaps the biggest question is to do with a recognition of the benefits of having a good university within our community. How much do we value the cultural sector in Norfolk/Norwich? For the moment though, the urgency is to get behind the campaign supporting the principle of the UEA continuing to have a music department. UEA to close music dept.? The Vice-Chancellor has commissioned and accepted a report from a review panel of senior academics on the future of the School of Music. The recommendation that will be put to the University’s governing council is that UEA should stop offering music as an academic discipline once current students have completed their degrees. If this decision is made, the University will draw on best practice from other universities’ experience of handling departmental closures of this kind, and in mentoring the students affected. At a time when every university is facing difficult decisions about how best to prioritise its investments, the panel believes that the School of Music cannot meet the scale of the demands now being made on universities. The School of Music’s ability to earn research funding is of particular concern, in the light of funding changes to universities. The review also notes that it would be difficult to grow student numbers within the School saying it would require the University to divert resources from, and possibly put at risk, other disciplines. “In a harsh and increasingly competitive and market-focused environment, that is a step that UEA cannot afford to take,” said Vice-Chancellor Professor Edward Acton, who commissioned the review. 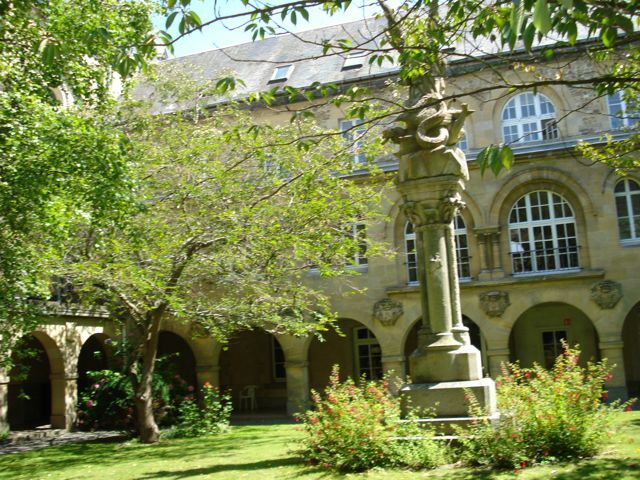 “What makes this position especially painful is the knowledge of the School’s fine achievements, the quality and passion of its staff under successive leaders and the pride and affection of cohorts of alumni”, said Professor Acton. The recommendations will be taken to the University’s Senate on 9 November 2011, and the final decision on the future of the School of Music rests with Council which meets on 28 November. This is happening tonight at 8pm. Sian’s choir Big Sky have been working really hard on this project for Amnesty’s 50th birthday. 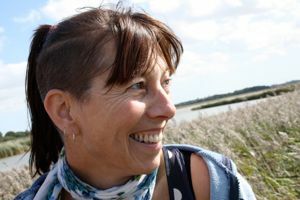 The music is fantastic – four female composers, all with Voice Project connections: Karen Wimhurst, Sianed Jones, Helen Chadwick and Katherine Zeserson. You can book here (if there are any tickets left that is). All world premières of course. After this concert the project will travel around other choirs around the country (the world…). All in celebration of what is still the most visible and relevant human rights organisation today. Happy Birthday Amnesty. The choir was sounding really good last night. We were only saying last night how Karen’s setting of these poems really ‘get’ these wonderful poems. We’ve put the various learning versions on the website and here’s a version sung by Sian and I.
Amazingly, even though we all had such a short time to learn it, we managed to perform a concert in the chapel on the Sunday afternoon. About an hour’s worth of material. 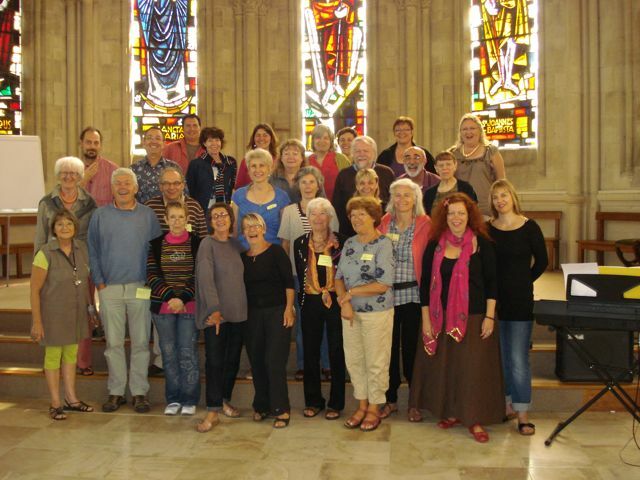 "(Some of) The Summersongs Singers"
Very much looking forward to seeing the Normandy singers again.